Dianne Springer’s wonderfully colorful lampwork beads bring you a necklace to add spice to your summer outfits. 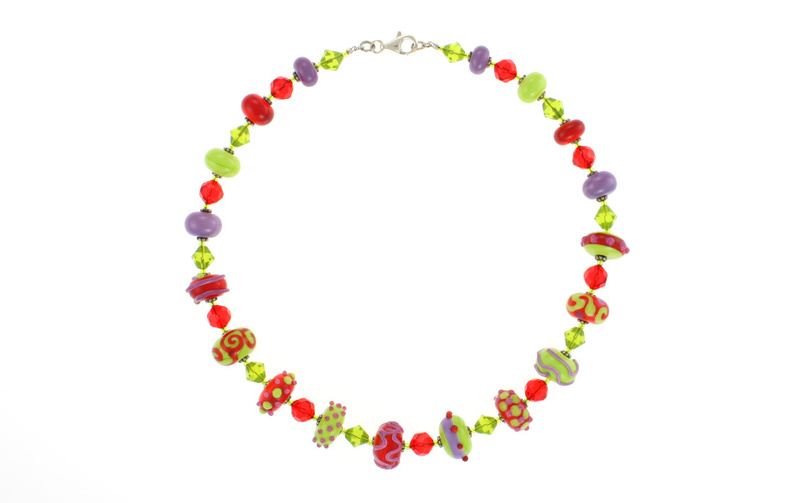 Red, lime green and purple beads are mixed with Swarovski crystals in this great necklace. Sterling lobster clasp; length is 16.75 inches.